I have received this information from various people and it is always best to be prepared for the BS factor from the “powers that were.” Be aware, stay alert, and have NO FEAR!!! 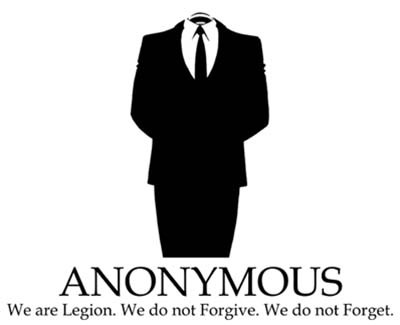 -A.M.
Greetings citizens of the world, we are Anonymous. We have received intel related to the possible destruction of one of downtown Los Angeles’s towers, being set up as a false flag event on Friday, November fifteenth two thousand and thirteen. Over the weekend, SWAT teams were conducting drills in downtown Los Angeles unlike any completed in the past. The Citi Bank building that is currently occupied by Freddie Mac just recently dropped all insurance policies except for the policy portion which contains special conditions, coverages related to terrorism, which is all risk of direct physical damage. The certificate holder for this policy is located at 444 South Flower Street, Los Angeles, California 90015, under Hines Vaf, a private insurance company which offers Loss Adjusters, Allstate Claims Adjuster, Integrated Insurance Services, Property Insurance Adjuster and General Auto Insurance. Similar to the destruction of the twin towers, changes were made to their insurance policies prior to the so called terrorist acts on nine eleven. Although we are not one hundred percent sure of these horrific activities being planned to transpire within the next few days, we did not want to take a chance and risk losing anymore innocent lives and have a repeat of nine eleven in New York. The buildings in question are the Citi bank building which is located adjacent to the US bank building on the corner of South Flower and West Fifth street. It is believed to be the target for a false flag event set for this Friday. We ask American citizens who work in this area of Los Angeles, California to take extra precautions. It is advisable given the severity of this information, if you are employed and are working, or conducting personal matters in either the Citi bank or the US bank towers of Los Angeles, that you stay away from these two structures on that day. This is a warning, and again, as a precautionary measure we alert you of this possible false flag event being set up in the city of Los Angeles. To the share holders of these policies, you have been warned. We do not forgive, we do not forget. Expect to be held accountable for your actions if you follow through with your sinister agenda. We will not tolerate your wicked greed in pursuit of more wealth and restructure. We are Anonymous. We do not forgive. We do not forget. Expect us.